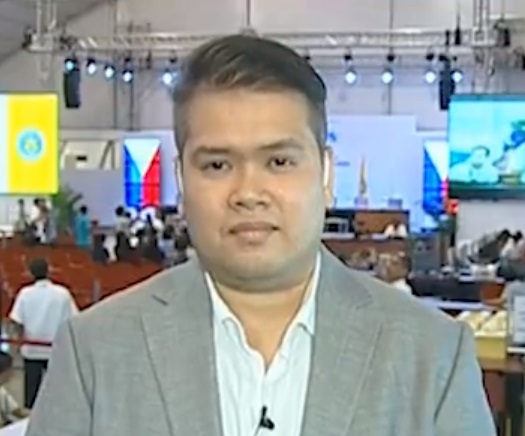 JC Gotinga, the former correspondent of CNN Philippines, has joined Al Jazeera as a news producer for its Manila bureau. Gotinga, who left the local CNN station just two weeks ago, will be working closely with the international news network's award-winning correspondent Jamela Alindogan. "I dream of becoming an international journalist and with my new job as producer here, I have actually achieved that," Gotinga said in an interview with Media Newser Philippines on Tuesday. Gotinga has been with Channel 9 since 2013. Initially working as a business news producer during the Solar News era, Gotinga would later be promoted as correspondent. Aside from filing his regular reports on programs such as News Night and Newsroom, Gotinga has also participated in the network's special news coverage such as the 2016 elections — where he also contributed to CNN International — and the first two SONAs of President Rodrigo Duterte. "I am very glad that my mentors at CNN Philippines — Pia Hontiveros, Pal Marquez, Armie Jarin-Bennett — gave me their blessing and encouraged me to take this opportunity," he said. "I am deeply grateful to the network for having been my second home for more than 4 years." Previously, Gotinga worked as a producer for News5 and Information. Had a wonderful first day as Al Jazeera's new producer for its Manila bureau. Thank you very much, @jamelaaisha Alindogan for making me feel right at home and for walking me through the job. Excited to tell stories with you!